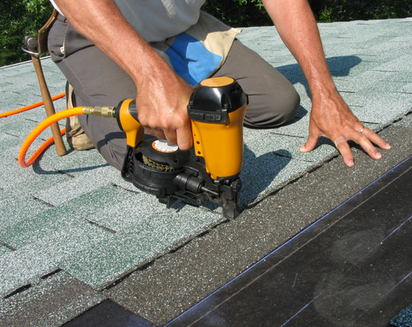 What type of shingle do you want on your Roof in Fort Collins? 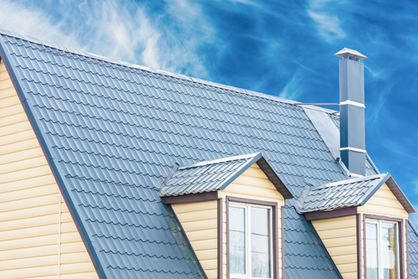 Do you even know what different shingles are offered by Roofing Companies? Scroll below and we'll give you some more information about them. We recommend that you read up on the different types of shingles that you have the option of adding to your home, apartment complex, or business. We recommend the shingles below, and can speak to you a bit further about exactly why you should use these on your Fort Collins Roof. 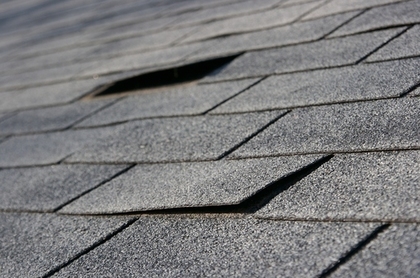 Depending on what you are looking for, we will recommend the below shingles to best suite your Fort Collins Roof! Most of the below products are traditionally used on residential roofs, but they can also be used on commercial roofing jobs. We offer all of our products to residential and commercial buildings alike, but most of the products below make sense for residential roofing. What we recommend depends on what you are looking for, but we always want to take a look at your home before recommending a roofing solution to better inform you what you are putting on your roof, why that shingle makes sense, how long that shingle should last on your roof, and lastly, the protection from the elements that it should offer. This asphalt shingle always received excellent reviews, and is well regarded in the roofing industry. Again, we will recommend one of these based on speaking with you, and your desires for your roof. All of the GAF products that we use are well made, and like Owens Corning, receive great reviews in the industry. CertainTeed also offers a line of Attic Ventilation products that are available. 4. Standing Seam Metal. This is much more of a custom look, and we will base our standing seam metal roof recommendation upon what you say you like, as well as our experience with homes and roofs like yours. 5. Tile. Tile Roofs, like Standing Seam Metal, are much more of a custom look, and require extensive consultation with each homeowner before installing a custom tile roof.Depending on what you want to put on your roof, we will offer you a free consultation with our roofing professionals, and make a educated recommendation as to what we think would be the best for you. You may have a certain budget to work with, and we can recommend the best roofing solution based upon your dollar figure. We use a solid Roof Coating system to provide what we like to call our 'Commercial Roof Restoration' services. We use Roof Coating system where we apply a fully adhered, seamless, fluid applied membrane that is silicon based, great to protect against sunlight, and actually helps your business reduce air conditioning costs! The Single Ply Roofing System that we use provides a strong, flexible, and long lasting membrane to your Commercial Roof here in Fort Collins. These Single Ply membranes are manafactured with strict control requirements in mind, making it so your roof is protected, secure, and safe. The most commonly used polymer in Single Ply Membranes is called EPDM. This is more well known as 'Rubber Roofing', or 'Black Rubber'. This is used most often in Commercial Roofing because of it's ability to withstand the ever changing weather in Fort Collins, as well as it's ability to handle chemicals that most often appear on Commercial Roofs. TPO Single Ply Roofing Membranes (Thermoplastic Polyolefin) are gaining wide acceptance in the Roofing industry and we now use them on Commercial Roofs. These Single Ply Membranes are gaining acceptance for their ability to protect against ozone, chemical, and UV (Ultraviolet) exposure. ​PVC roofs are single ply roofing membranes that are extremely flexible, and provide long lasting protection against water breaking through seams. PVC membranes are also resistant to fire, wind, various chemicals, and UV rays. Of course, we offer other Commercial Roofing products like standing seam metal, as well as Architectural shingles, but our Roof Coating system is what the majority of our commercial roofing customers ask for when they call us. Ask us more about our Roof Coating system. This cost effective system prolongs the life of your commercial roof, and is an incredible alternative to completely gutting and re-doing your commercial roof. For Residential Roofing, Commercial Roofing, and all of your Roof Repair & Roof Maintenance needs, contact Fort Collins Roofing Service, the number one Fort Collins Roofing Company. Give us a call at 970-372-6161 or contact us through our website today!